Kamchatka is a pristine place full of nature, wildlife and beauty. This sunrise was one of the best experiences I have ever had in the field. 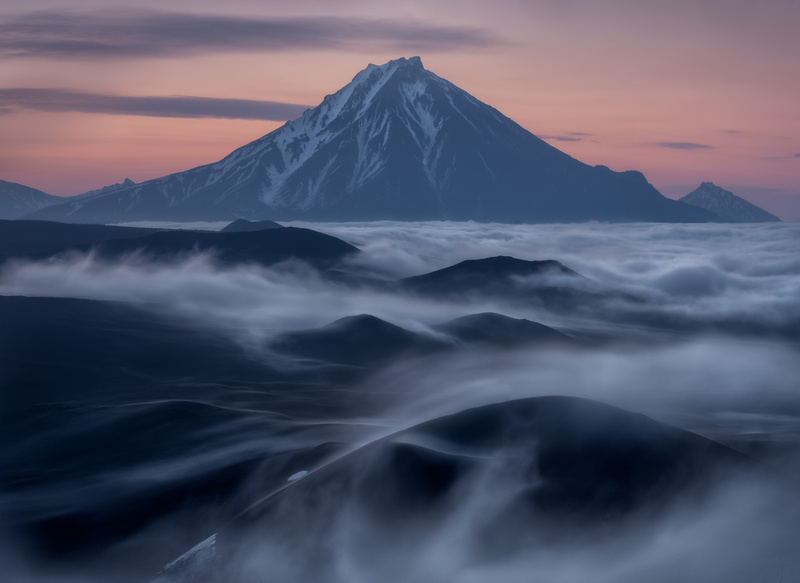 A sea of clouds rolled over the giant volcanoes creating an otherworldly scene that will be difficult to forget. Great shot! I love being above the clouds :-)... the only thing missing for a 5 would be a different edit on the top half...maybe more detail/contrast in the mountain?